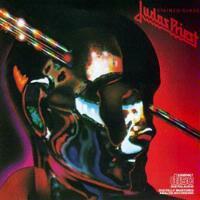 Stained Class, the album Judas Priest released right before Hell Bent For Leather, has always been a favorite of mine. 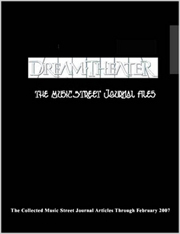 The disc includes some very strong material that fits nicely in between the Sad Wings of Destiny era and the later period of the band. Not all the tracks are top notch, but none are far below. Since many of these songs were already covered on the Metalogy box set, I'll be using the same track by tracks from that review for the sake of consistency. Although the overall verse structure is not that special, Halford's vocal performance is one of the strong stars here. Add to that a killer instrumental break, an awesome riff driven chorus and some very tasty guitar solos, and this cut rises to killer level. The opening riff on this is cool, but not exceptional. Halford's vocals are once again stellar. The crunchy progression on the "Wake the dead…" segment is very tasty as are the guitar punctuations at the end of many of the lines. It drops to just percussion, then a slightly plodding, but oh so cool new segment that is simply incredible emerges. Halford's voice has a nice echo on this staccato segment. The band tear out of this with a vengeance. The resolution verse is a bit of a let down, but this is still a very strong cut. A crescendo and patented Halford scream bring this in. It drops to a fairly straightforward riff that makes up the bulk of the song. The high hat cymbal too high in the mix on parts of this has always begged me. The lyrics here address the savagery done to the Native Americans when the white men invaded. The guitar solo is very meaty and Halford's performance is very evocative, but this song is just a bit average in comparison to the rest of the material on show here. Another strong cruncher, this one really feels like it could have been at home on the band's more blues oriented debut disc. Halford's killer vocal performance, some extremely tasty guitar fills and a great crunchy main riff make this one of my favorites on the album. A short but awesome guitar solo gives way to a killer plodding segment with one of the coolest vocal arrangements on the disc. They bump it back up to the original segment as they carry on. An extremely tasty solo after this verse prefaces the ending crescendo.